Identity theft is the fastest growing crime in America, and it affects roughly 19 people every minute, according to TransUnion. This type of crime occurs when someone steals your personal information, usually for financial gain. Thieves can apply for credit cards or loans in your name, and make fraudulent charges on your existing credit card accounts. However, there are multiple methods thieves use to effectively steal your identity: There’s the old-fashioned method of dumpster-diving for bank statements and credit card statements, as well as phishing techniques that use the Internet to steal personal information. But while you’re likely aware of common scams and take precautions to keep your account numbers safe, thieves don’t necessarily need the Internet to steal your identity. They only need your wallet. Fortunately, you can take precautions to keep your identity safe, even if your wallet is lost or stolen. By purging your wallet of five key items, you can help to ensure that you will not become a victim of identity theft. Unless you’re completing paperwork for a new job or applying for a driver’s license, there’s really no reason to keep your Social Security card in your wallet. It may seem like a convenient place to keep your card, but if your wallet is lost or stolen, thieves can use your Social Security number to open credit card accounts and apply for loans. Remove your Social Security card from your wallet, memorize the number, and then store the card is a fireproof safe or lock-box. You’ll probably lock yourself out the house at least once in your lifetime. Locksmiths aren’t cheap, and to avoid this unnecessary expense, you may keep a spare key tucked inside your wallet. However, there is a serious downside to this. 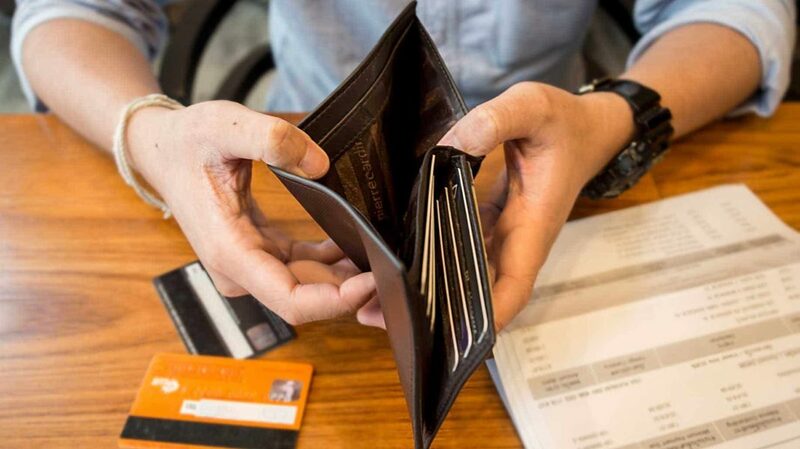 If your wallet is ever stolen, thieves will not only gain your personal information, but also access to your home. Your driver’s license contains your address, and it only takes one brazen thief to break into your home. Hiding a spare key under your front doormat isn’t any safer. A better solution is to give a spare key to a relative or a trusted neighbor, or hang your spare key from a string and wear the string around your neck. Keep the key tucked inside your shirt. The ability to pay bills online makes life simpler, but keeping up with a slew of passwords and security codes can prove to be challenging – especially since many systems have specific password requirements, such as one lowercase letter, one uppercase letter, and one number or symbol. A password cheat sheet is one way to remember your PIN numbers and the login information for your many accounts. But if you keep this information in your wallet – along with your credit cards or debit cards – thieves can easily access your accounts and take money from your checking or savings accounts. Keep a cheat sheet, but don’t store the information in your wallet. Create a computer spreadsheet for your account information and protect your computer with a password, or store the information on a password-protected phone. You can also use an online service like LastPass.com to safely remember your passwords on your computer. 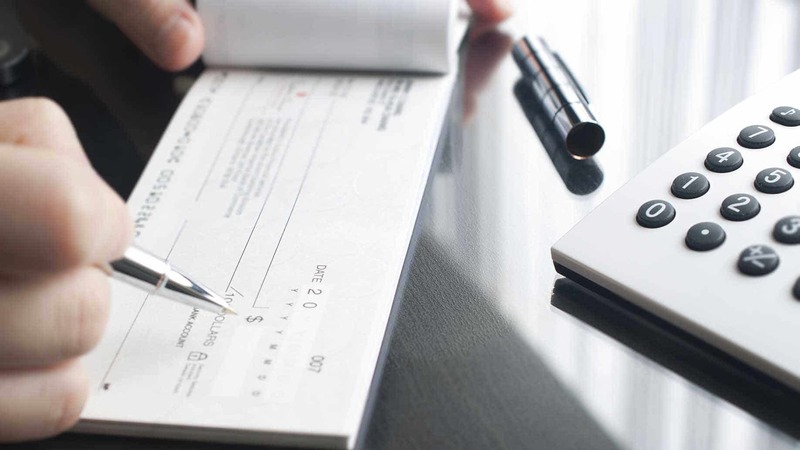 The simplicity and convenience of debit cards has practically led to the extinction of checks. But if you’d rather write a check than swipe your debit card at retail stores, it’s important that you limit the number of checks you carry in your wallet. Checks include personal information, such as your bank account number, your name, and your address. With this information, thieves can transfer money from your account, fill in blank checks, and wipe out your account before you realize that your wallet has been stolen. The bank will likely reimburse your account, but why go through the hassle? Never keep all your checks in your wallet – simply tear out what you need for the day’s purchases, and leave the checkbook at home. Canceling just one of your credit cards because of theft is tedious. You have to call customer service, dispute unauthorized charges, and wait for your new credit card to arrive in the mail. And if you have services auto-billed to this credit card, you have to notify merchants of your updated account information. Now imagine repeating this step seven or eight times. If you keep all of your credit cards in your wallet, this is what you’ll have to do if it’s stolen. Therefore, you should never keep more than two credit cards in your wallet: your preferred credit card, and a backup in case the first is declined for any reason. Once someone acquires your personal information for financial gain, it can take months or years to undo the damage. While there’s no surefire way to avoid online securty threats and prevent identity theft, the earlier you detect theft, the better. This is key to avoiding long-term damage. If your wallet is stolen, contact your creditors and bank immediately to request a new credit card or debit card number. Keep a close eye on your credit card and bank statements, and order your credit report to check for fraudulent activity. You can obtain a free annual credit report from AnnualCreditReport.com. You can also easily monitor bad charges on your bills by using a free online service like BillGuard. Have you ever had your wallet stolen or experienced identity theft? What could you have done differently to prevent it?